Granite countertops have become increasingly common in the early 2000s both in new homes and as remodeling additions in older homes. Some homeowners are under the mistaken impression that granite countertops can stand up to anything. The truth is that although granite countertops are durable and can take quite a daily beating, they still require a little special care to maintain their beauty and shine. Granite countertops add an elegant touch to a kitchen. When picking out granite for your countertop, it is best -- whenever possible -- to pick out the actual slab you want. Some installers offer customers small sample squares to choose their granite from, but often the actual countertop the homeowner receives may look quite different. 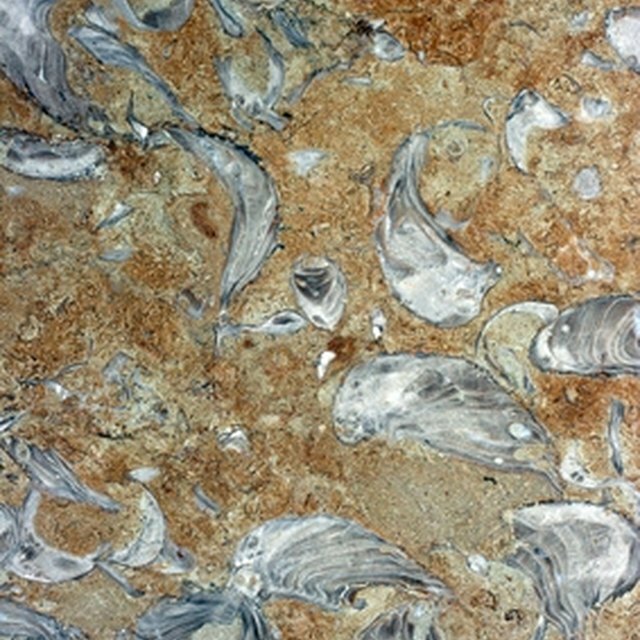 For instance, some granite types will have large veins of color in one area and smaller swirling veins in another. If you buy a granite for your countertop based solely on a square that shows small swirls, you may be disappointed when your slab has large markings all over it or a large concentration of a shading that was not visible in the sample. To keep granite looking shiny and not dull, use cleaners that are created especially for your stone countertop and have a neutral pH balance. Acidic or alkaline cleaners may dull your counter's sealant. Granite experts also do not recommend window cleaners that contain ammonia or any harsh household cleaners be used on granite. Although some people like to use dish soap on their countertops, a soap film may build up after a while on your countertop's finish, making it appear dull. Although granite is one of the most durable materials available for countertops, there are certain things that can stain this stone, especially if it is light in color. Lemons or lemon juice, other acidic liquids and vinegar can all etch or mar the granite's finish if allowed to sit on the countertop's surface for a long period of time. Oils and butters that are allowed to sit on a countertop for a long time can seep into the stone and darken it, as well, even if the granite had been sealed. Once installed, granite countertops are usually sealed to help protect it from stains. A good sealer will last up to 10 years; however, a poor quality sealer will have a much shorter lifespan. If you believe your sealer is past its prime or if you are not sure if your countertops were sealed, you should reseal them. Luckily, it is not difficult to reseal granite and products to do so are readily available at the store. First, wash and clean the granite and allow it to dry thoroughly for at least 24 hours, and then apply the sealer. After the sealer has dried, buff your countertop with a cloth. Some materials may be marketed as granite, but may actually be another material. For instance, some black granites are actually dolomite or basalt. These stones have very small pores, which do not absorb liquids readily and so do not stain easily. If your black countertop is made of these materials, they should not be sealed because the sealer will not be absorbed and can leave a hazy film. Some countries have also been known to dye their black granites darker to make them more attractive to buyers. To verify that your black granite has not been dyed, take a clean white cloth and acetone with you when inspecting the slabs and daub a little in an inconspicuous location. If any black coloring comes off, the slab has been dyed and may fade with time. Do Travertine Tiles Need to Be Sealed? What Is the Best Product to Clean Granite & Keep It Shiny?